Cast: Molly Ringwald, Harry Dean Stanton, Jon Cryer. Better-than-average teen movie from the doyen of that genre. 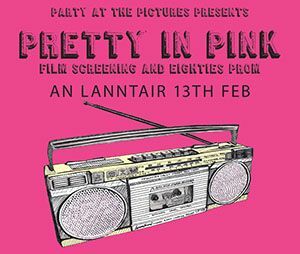 Ms Ringwald is pretty in pink for the high school prom, but not before she has undergone the prejudice of the kids from the rich side of town. Her poppa, you see, is so poor that she only has a car, a telephone and an answering machine to call her own. This, incidentally, was when it became clear that the Psychedelic Furs had Sold Out.